There is nothing more important in this world than being a good person and helping those in need. Please read the articles below and follow the links to see how can help. Winter is rapidly approaching and if it is anything like last year, it will be a long and cold one. Warmth for wake not only helps heat homes, it helps warm hearts. 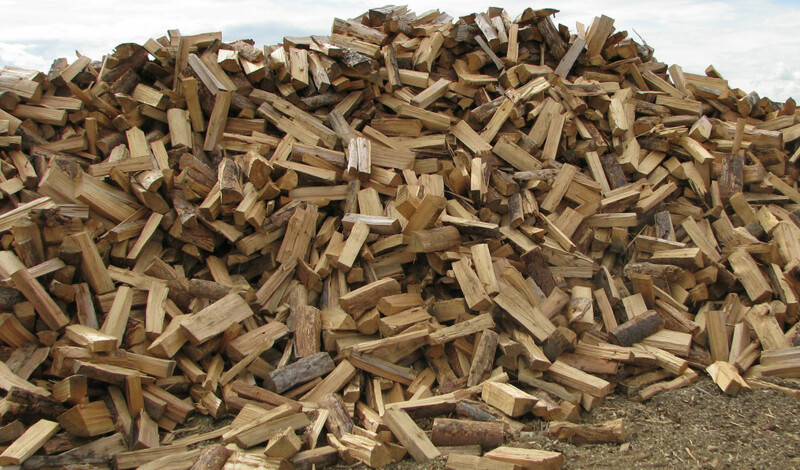 It is a volunteer program that provides firewood to elderly and financially challenged individuals that have no other means of heating their homes. Volunteers gather several times per season to cut, split and deliver it to those in need. We are more than happy to donate the wood, saws, splitters, trucks and facility. We have volunteer days coming up on Saturday Oct 24th, Saturday November 21st and Saturday Jan 30th. Please email Tim if you would like to help timothy@arbormaxtree.com or call the office for more info 919-412-6790. We promise that it is one of the most rewarding volunteering experiences you will ever have. A granted wish for an amazing kid. We are usually the first step in a process. 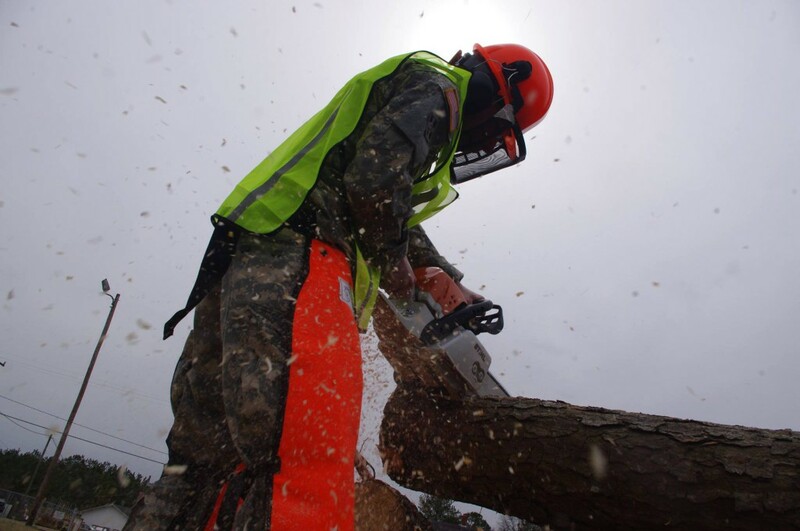 Our tree removal crews have cut trees down for almost every reason known to man. Sometimes we remove trees to start a new landscape for a client. Sometimes we clear trees to make way for new home additions or garages. We even cut them down for no reason at all when asked to. But we have never cut down trees to grant a wish. That is why we were so excited when we got the call from Make-a-wish. All week leading up to the project we were as excited as a kid right before Christmas. Probably not as excited as Liam though. He is an amazing kid with tons of talent. He is a modern day Johnny Bench or Yogi Berra. The only thing that surpasses Liam’s love for baseball is his awesomeness and courage. This kid is an amazingly awesome individual that has dealt with some tough things over the past year and a half. In June of 2014 he was diagnosed with Stage IIIB Hodgkin’s Lymphoma. Hodgkin’s Lymphoma is a cancer of the lymphatic system, which is part of the body’s immune system. Treatments for Hodgkin’s Lymphoma patients are challenging, and for the better part of a year, Liam has undergone rounds of chemotherapy and radiation, leaving him immunocompromised. Baseball has helped him through these tough times. He says it takes his mind off of everything else. During rounds of intense treatment Liam is unable to travel and play the game that he loves so dearly. 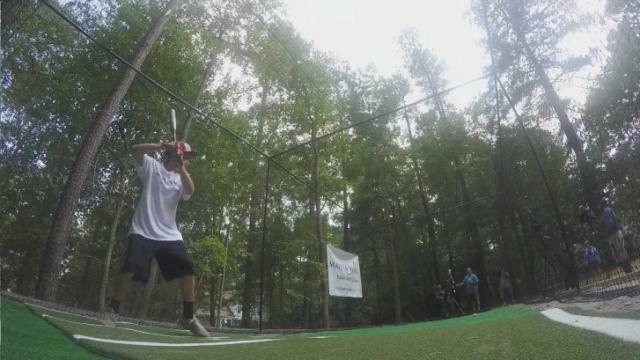 Knowing this, the amazing people at Make-A-Wish put a plan in motion to get him a batting cage. This Batting cage will be there for Liam when he can’t travel. He can go just a few steps outside his back door and get his mind off of everything but baseball. Liam and his family are truly amazing people and could use all of the support they can get. PLEASE take a minute to follow these links and learn how you can help. Absolutely, positively, without a doubt this has been hands down the most awesome thing any of us at Arbormax Tree Service have ever been involved with. 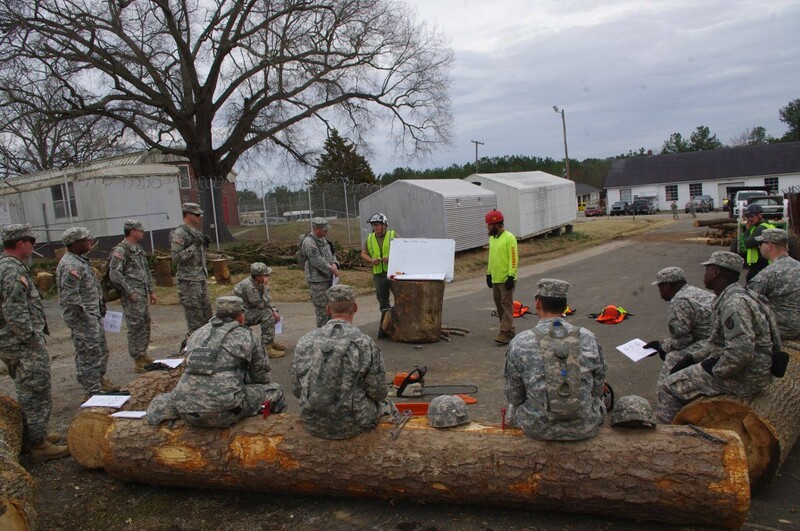 We had the honor and privilege of training the amazing men and women of the Army National Guard’s 105th Engineer Battalion on the fundamentals of chain saw safety, saw maintenance operations, and reactive forces. Over the course of five days in March, with nine classes, we trained approximately 150 soldiers. These courageous soldiers not only defend and protect our nation overseas, they also are ready and prepared to help us state side when things get tough and we need them most right here at home. 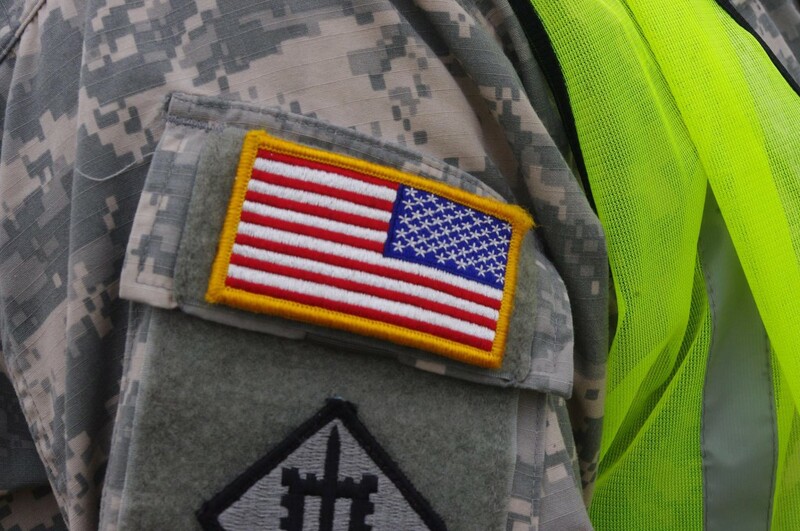 The annual training of the battalion, arranged by the Army National Guard, lasts about two weeks and covers many scenarios that these troops may encounter during a state of emergency following a natural disaster. 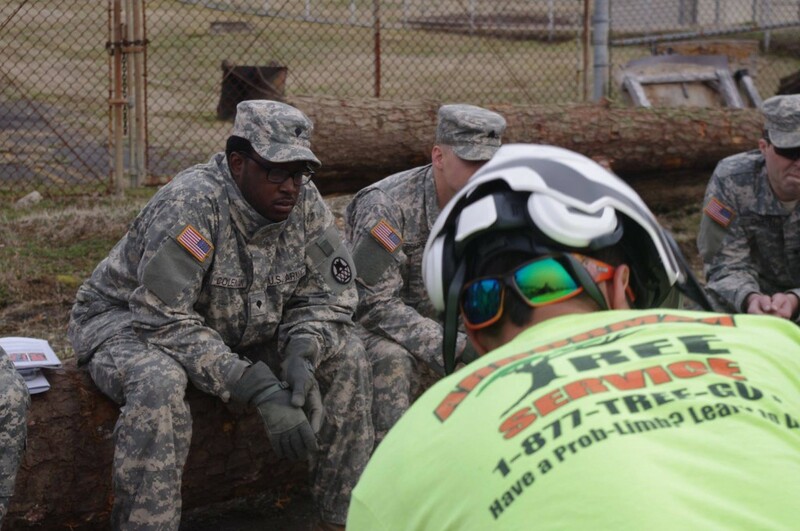 Starting with a solid foundation of the fundamentals and using hands-on training, the course we offered focused on real world situations that these soldiers encounter after disasters. 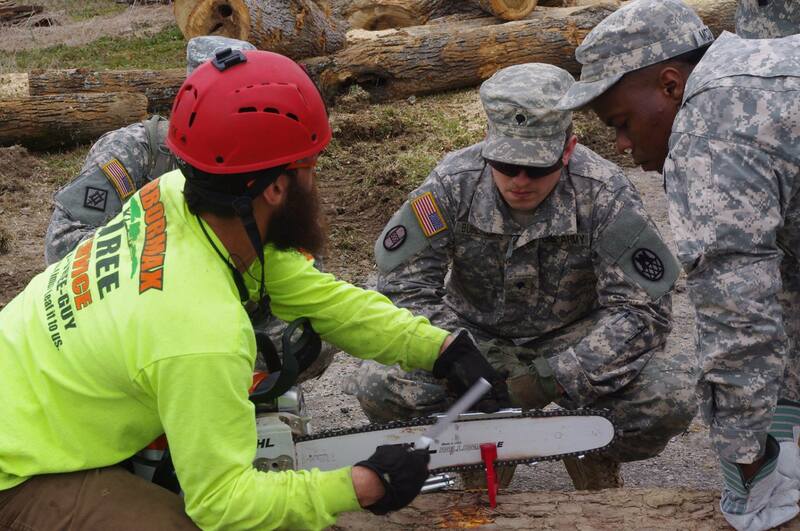 Some of these soldiers had never operated a chain saw, but they all walked away with the skills and a true understanding of the tool that would allow them a greater sense confidence to safely operate and care for the saw. Even those who had experience operating a saw before seemed to take a lot away from the program, telling us that we corrected some bad habits and work practices that had been in place. We had to post these awesome pictures and a brief description. But to be honest, a million of these pictures and two million words couldn’t convey just how amazing this experience was. What else can we say? I guess in the words of these heroes. Hoooaaaaaaaaaaaaa!!!! In honor of our little friend Delaney receiving her heart transplant we are planting trees with heart shaped leaves (Eastern Redbud) to those who donate above a set minimum to her cause and are interested. Taylor’s Nursery in Raleigh has teamed up with the arborists here at Arbormax to help Delaney reach her much needed fundraising goal for medical expenses. Miss Delaney is a precious 1 year old little angel that has been in Duke Children’s hospital since early November waiting on a heart transplant. Nothing makes us happier than being able to say that she received her new heart February 5th and is doing amazing. 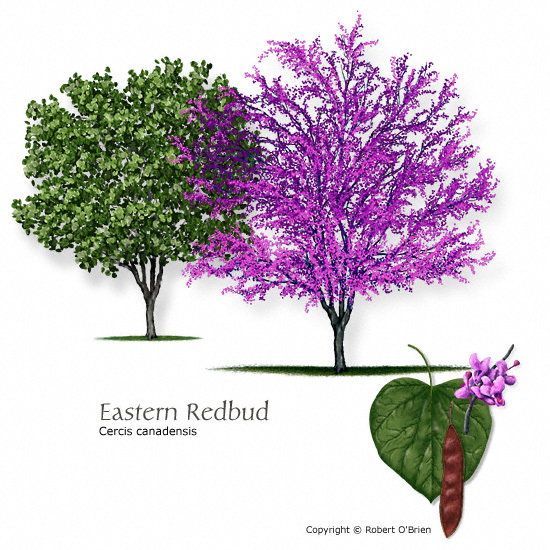 The Eastern Red bud tree is a magnificent specimen that has beautiful Magenta pink flowers that bloom spring to summer. The tree grows approximately 20-30 feet tall and has a canopy that spreads approximately 25 feet in width. The leaves are a heart shaped leaf. Each tree will be delivered and installed at no cost. The tree will be approximately 6 feet tall and 2 inches in diameter at the base. All donations are to be made through COTA and are 100% tax deductible. The typical cost for this tree and the planting service is $180.00. Any donation over $100 will be eligible to receive a tree. If you would like a tree installed please send us an email with your name and the donation amount. We have 3 large Red Bud trees available that are approximately 15 ft tall and 4 inches in diameter. These usually retail around $450 installed. If you would like to make a donation above $250 you will receive one. If you are in The Raleigh-Durham area and are interested in receiving a tree please call Tim 919-247-1985 or email us arbormaxx@aol.com to check availability. Please keep in mind that Delaney needs donations of all sizes. No amount is too small. 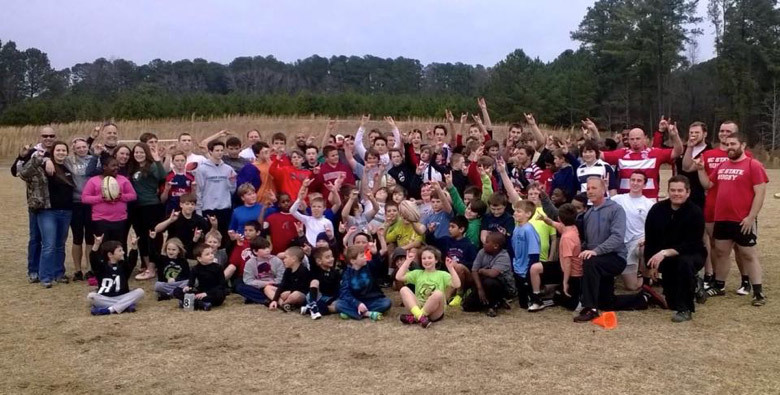 Rugby is the fastest growing sport in North Carolina and for good reason. It is fun. “It is funner than anything” says Timmy of the Clayton Copperheads. Today’s sports culture is full of anxiety over young athletes. Concussions are at the forefront of this anxiety. That in combination with the increasing rate of ligament damage, bruises and ankle sprains for young baseball and soccer players. Some would say that given those facts, it is surprising to learn that rugby is the fastest-growing youth game in the country. According to the Sports & Fitness Industry Association participation in football and baseball has been on a steady decline for years. While rugby enrollment had the highest growth rate of 81 percent from 2008 to 2013, which was more than lacrosse and hockey. 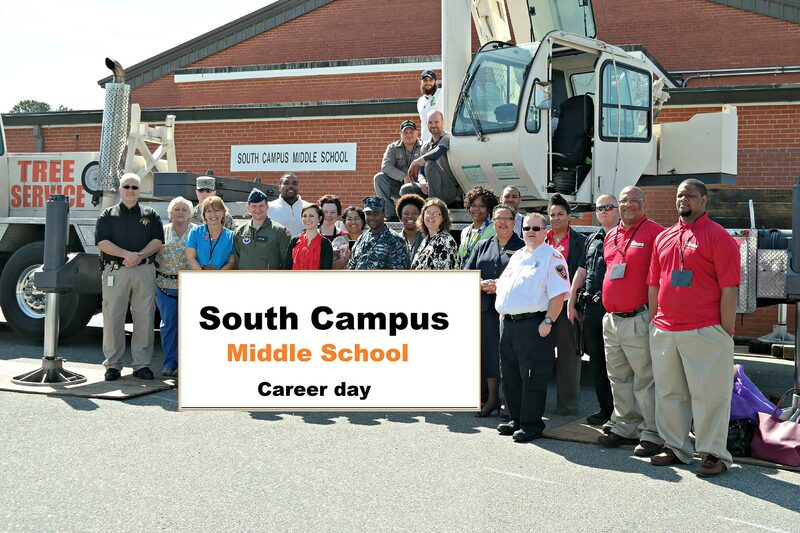 South Campus middle school is a local alternative school. We were recently asked to be a part of their career day. We accepted the invitation without hesitation. There were HVAC technicians, nurses, paramedics, police officers and military personnel were there to participate in the career day too. We brought the 60 ton crane with us and set it up in the parking lot. We also brought our climbing gear and a few chainsaws without chains for the kids to handle. We met several future, doctors a couple future lawyers and possible entrepreneur. Which is great, but we know that not everyone will grow up and get that (cliché) dream job. Not all kids have an opportunity to attend college. That’s why we wanted to show these kids that what we do is the best job ever. We also wanted them to know that there are tons of great jobs that don’t require a four year degree. They heard us say several times “If you love what you do, you will never work a day in your life.” That is a very true statement. Hopefully we planted a few seeds in the minds of some future arborists.